At Hart & Olson Family Dentistry we work closely together as a team. With years of experience, we have the specialized training necessary to prevent, diagnose, and treat your dental conditions. We stay current on the latest advances in research and treatment so you know you’ll get the most advanced care available anywhere. All of our friendly and talented staff take pride in their work. We require all team members to participate regularly in ongoing education and all of our clinical staff are CPR and AED certified. This is part of our commitment to provide you with the best care. Chris grew up in the suburbs of Milwaukee and graduated from Cudahy Sr. High prior to attending UW-Eau Claire where she received a Bachelor of Science in Nursing. She had a career in Home Care Administration for 10 years. She began assisting Dr. Hart part-time, when he began his own practice in 1989. She stayed home with the children when they were young and as they grew she gradually became more involved with the practice. 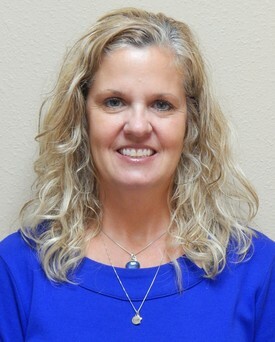 Her job has grown into a full time position over the years as the office became fully computerized, moved to it's new location and doubled the staff when Dr. Olson joined the practice. She has taken many practice management, business and computer classes to keep our systems running smoothly. 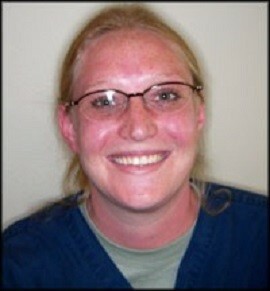 She also assists us in looking at our patient's over all health as well as their teeth. Her interests outside of the practice include her children, pets, travel, reading, skiing, golf and running. Tara attended Western Technical College in La Crosse where she earned her associates degree in Marketing and Fashion Merchandising in 2002. She married Dr. Olson in 2006. They have two daughters, Avery and Madelyn. They also have a dog named Oliver. Some of Tara's interests include baking, making crafts with her girls, traveling and spending time with family and friends. Business Office Staff are here to assist our patients and keep the office running smoothly. provide patient education regarding treatment plans and insurance coverage, pre-authorize treatment and bill insurance carriers after work is completed. make appointments and register new patients in our computer system. ensure that patients are comfortable while at our office, know when their next appointment is and that all questions have been answered. Mary has worked in the dental field since 2002. She joined out office in 2006 and became a patient account representative in 2008. Mary can help you plan all of your necessary dental care. Prior to her career in dentistry she worked for 13 years in the Veterinary field. She is married with 3 adult children and 6 grandchildren. Her hobbies include reading, cooking and gardening. Mel has been working in the dental field since 2002. 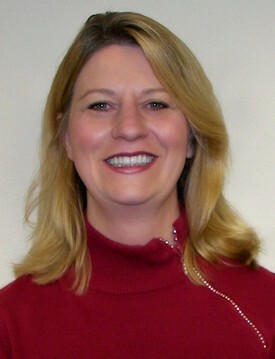 She joined Hart & Olson in 2006. She has experience with all aspects of Cosmetic Dentistry. Mel's primary job is taking care of patients at the front desk but she still assists the doctors when needed. Outside of work she likes to fish, garden and be outdoors. Mel lives in Pardeeville with her two sons, Logan and Aaron. Deb joined our team in February 2015. She comes to us with 20 plus years of dental experience. Her prior years were spent with Dr. Rosin. 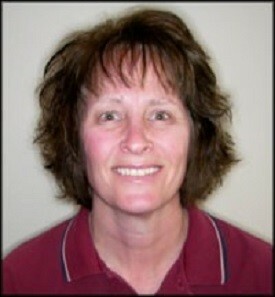 Deb has recently accepted a position taking care of our patients at the front desk. She is the first friendly face you meet when you walk through our front door. Deb lives in Portage with her husband Phill. They have 2 children and 4 grandchildren. Her hobbies are boating, traveling, entertaining and spending time with family and friends. 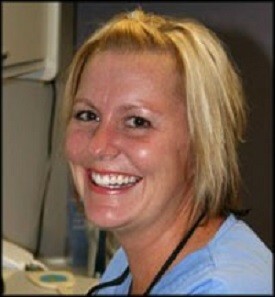 Jen has been in the dental field since 1995. She started her career as a dental assistant but in recent years has transitioned to helping patients in all aspects of their care at the front desk. Jen’s goal is to make every patient feel as comfortable as possible when they walk through our doors. Jen lives with her husband in Westfield. They have 4 grown children and enjoy outdoors activities, traveling, and family time. Dental Hygienists provide treatment to prevent cavities and gum disease under the supervision of the dentist. Lonnie began his dental career in dental assisting. He was an assistant for 8 years with a Prosthodontist. Upon completion of hygiene school from MATC in Madison he worked for 1 year with a Periodontist where he received invaluable training. 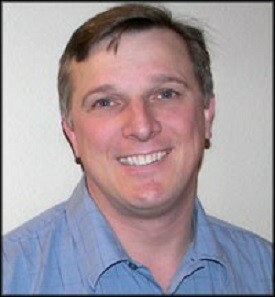 He joined Dr. Hart in 2004 after the move to the new location. Lonnie is currently coordinating our Perio Care and OSHA programs. Lonnie currently lives in Baraboo. He enjoys hunting, fishing, carpentry, landscaping and gardening. He has one son, Tanner. Tracy has worked for Dr. Hart for since 2005. 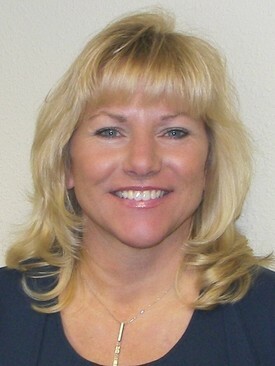 She started working in the dental field as a Dental Assistant in 1988. She also gained experience at the front desk prior to returning to school to become a Dental Hygienist. 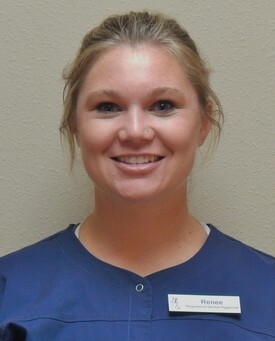 After graduating she began her hygiene career at several other dental offices before joining the staff at Hart & Olson. Tracy and her husband, two dogs and two cats live just north of De Forest. She enjoys camping, reading, gardening and spending time outdoors. Amanda graduated from Madison College in May of 2015 with an associates degree in Dental Hygiene. She grew up in Rockford IL and moved to Wisconsin in 2006. Amanda is married to Greg Bortz and they live in Portage with their Puggle, Charlie. Some of Amanda's interests include traveling, animals, water activities, doing hair & makeup, and spending time with her family and friends. 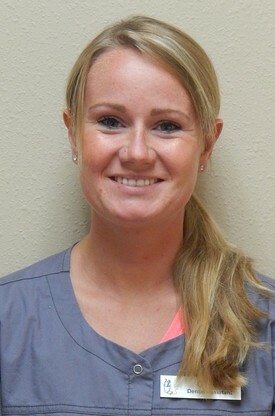 Renee began her dental career in 2009 as a dental assistant. In 2016, she graduated from Madison College with an Associate’s degree in dental hygiene. She joined Hart & Olson Family Dentistry in May 2017. Renee grew up in Portage and now lives in Pardeeville with her husband Dan. They have two shih tzus named Jordy and Clay. She enjoys kayaking, hiking, and spending time with family and friends. Dental Assistants provide support functions to the dentist and dental hygienist. 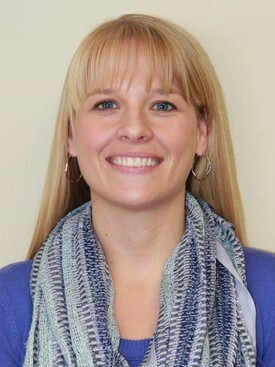 Melissa joined our staff in 2006 when Dr. Olson joined our team. She became a certified Dental assistant in 2003 when she graduated from MATC. She and her husband Tim have a daughter and a son. They also have a black lab named Jordy. They enjoy camping and watching their kids participate in extracurricular activities. 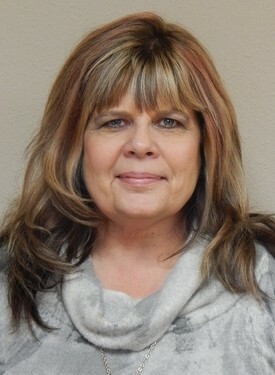 Connie has worked for Dr. Hart since March of 1990 when we had a small three staff office in downtown Portage. 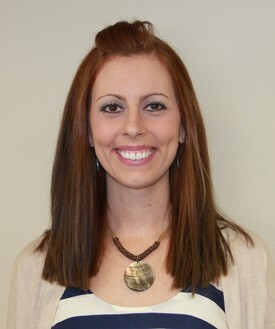 She had 10 years of dental assisting experience prior to joining our office. Connie is married to Al and has a daughter, one grandson and a cat named Wrigley. She loves spending time with her grandson, bowling, pitching horseshoes and going to Cub's baseball games. Barb attended the dental assisting program at MATC in Madison, She has over 20 years of experience as a dental assistant. 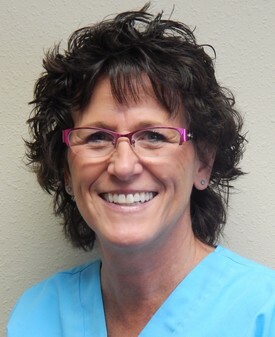 Barb joined Hart & Olson Family Dentistry in July of 2008. Barb lives in Montello with her husband, Peter. They have 3 sons and 5 grandchildren. Some of her favorite things to do are spending time with family and friends, sewing, traveling, camping, and reading. Hali graduated from Portage High School in 2004. She went to MATC where she completed her dental assistant certification in 2009. 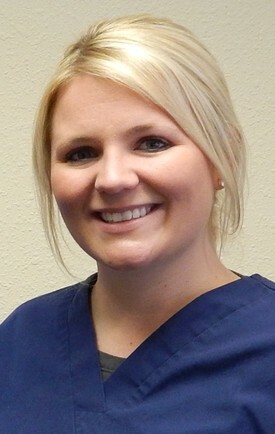 Her education included clinical hours at Hart and Olson Family Dentistry. Hali worked with us on a fill in basis from 2009-2014. She accepted a part-time position in January 2015. Hali has three children, Brody, Bree, & Bayla. Her hobbies include swimming, boating, horseshoes, camping and spending time with family and friends. 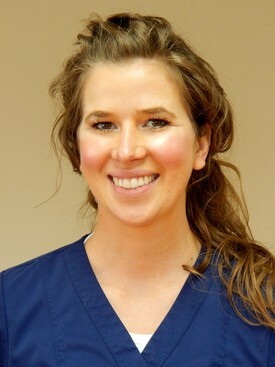 Caitlin joined Hart and Olson family Dentistry in May of 2017 as Dr. Brian’s assistant. She started her career in the dental field in 2012 when she graduated from the Dental Assisting program at Madison College. 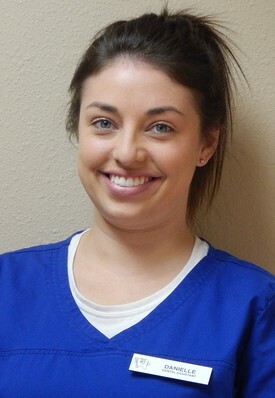 Caitlin has 4 years of dental assisting experience prior to joining our team. In her free time, Caitlin enjoys being outdoors, running, biking, hunting, and hiking with her dogs. Danielle joined Hart & Olson Family Dentistry in July 2017. She had 2 years of experience prior to joining our team. She was certified through a Dental Assisting course in Middleton in 2013. In Danielle’s free time she enjoys going on walks, hanging out with her friends, watching Badger Football, being outdoors, and reading.